Colour Me Dang: Let's talk more about Paisley! Let's talk more about Paisley! 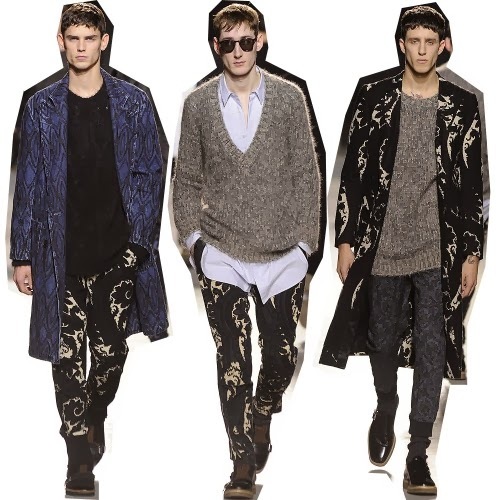 My obsession with paisley reached a whole new level this year largely due to the amazing Fall 2013 collection by Dries Van Noten. When I first saw the runway photos, I was instantly overcome with so much positive emotion I almost cried. No joke. The collection was so beautiful and perfect in every single way, I had to have it. This obsession is worse then my obsession with men. Instead of talking about boys, future husbands and the D, my friends had to endure me moaning about how I didn't own any of it yet. Very much a first world problem. 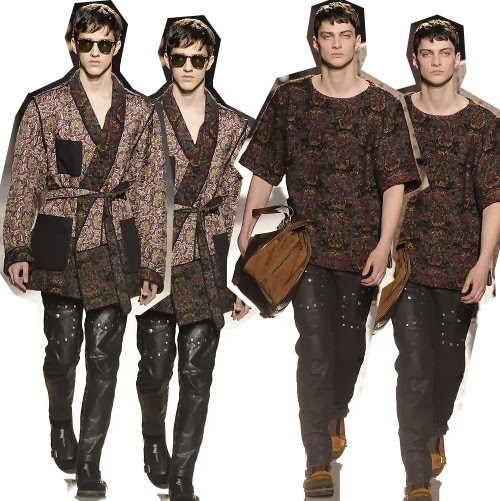 For his Men's "The Morning After" collection, Dries Van Noten showed luxe, louche pieces in earthly browns, golds and burgundies, styled in elements of evening wear and track pants. A very boho, I just woke up and grabbed the closest thing on the floor and ended up looking amazing with no effort kind of look. 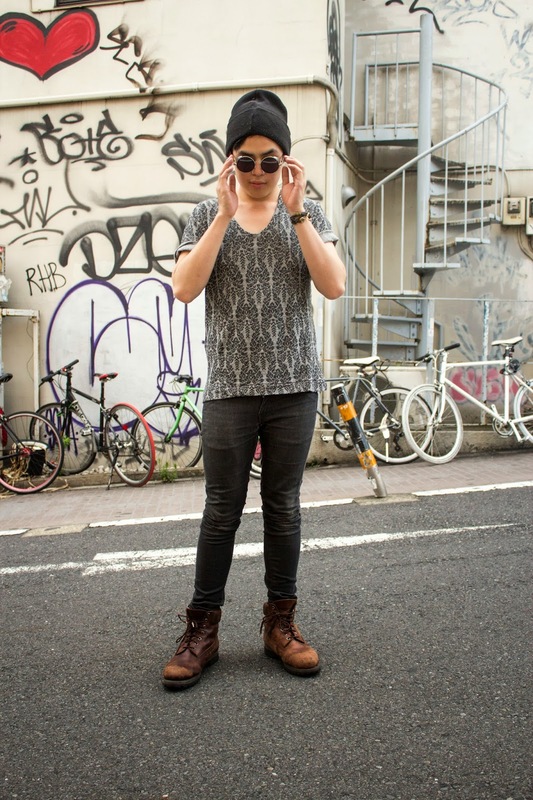 Unfortunately for me, I only know one stockist, LN CC that ships to Australia. Which is so horribly depressing. Cool look. 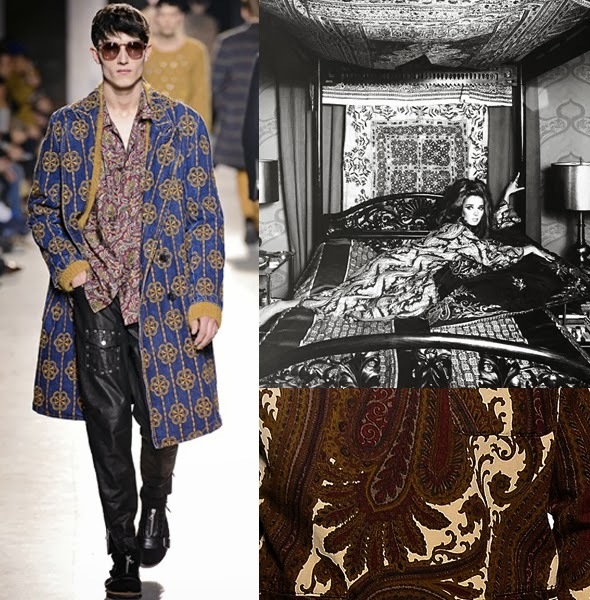 Loving the paisley!